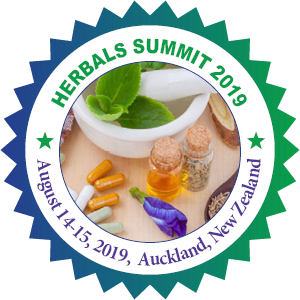 Welcome to the Official Attendee Housing Site for the 5th Global Summit on Herbals and Traditional Medicine will be held in the beautiful and exciting city of Auckland, New Zealand. Located at Mangere, Auckland Airport is conveniently accessible via airport bus, taxi, Town bus and Shuttle or foot. The Yellow Bus runs between Holiday Inn Auckland Airport and the Auckland Airport 24/7. The bus will run every 20 minutes from 3am to 9pm and every 30 minutes during the rest. The Yellow Bus is a third party shuttle that services the needs of hotel guests in the Auckland Airport precinct. The quickest way to get from Auckland Airport (AKL) to Holiday Inn Auckland Airport is to taxi which costs ₹1,200 - ₹1,500 and takes 6 min. Note: this is the most convenient way to reach the Hotel. Auckland, the largest city in New Zealand is a vibrant place with a mix of various cultures, tastes and land-scape. The city is set between 2 harbors and is a wonderful place consisting of beaches, islands, vineyards. It is well known as the “City of Sails” because of the many yacht harbors and sailboats. The Conference will take place at Naumi Hotel Auckland Airport. The 2 main islands Of New Zealand are North Island and South Island and Auckland is located in the north of the North Island. It rests on a narrow Isthmus between 2 harbors, Manukau Harbor and the Waitemata Harbor. Auckland is at the center of the Hunua Hilly Ranges to the south-east, the Hauraki Gulf in the east which is a part of the Pacific Ocean, Manukau marina in the south-west and the Waitakere Ranges and other smaller ranges to the west and north-east respectively. Auckland sports a modern-day transport system with good maintained road ways. Transportation means include local taxis and buses and ferry’s. Many resident and students from abroad prefer to study in Auckland because of its calm and beautiful surroundings and weather. A number of Top Universities are available which offer courses in wide range of subjects. Some of them are University of Auckland, Massey University, University of Otago etc. Auckland witnesses a temperate climate It is warm and humid during the summers and mild winters. The best month to visit Auckland is during the month of September which embarks the beginning of Spring season as there won’t be many tourists and prices for tourist activities like shopping, adventure sports and accommodation won’t be high also, the beginning of Spring invites new blossoming flowers and possibly the best time for skiing. Auckland is a melting pot of cultures and tradition. The Maori culture is still a prominent part of New Zealand’s tradition and various centers like the Auckland Museum offers a chance to experience the culture and food of the Maori people. Sky Tower: The Sky Tower is 328 meters tall and is 20 years old. It is an exciting destination for adrenaline pumping activities, fine dining and breathtaking scenery. Rainbow’s End: The theme park is New Zealand’s largest theme park covering 23 acres. It is located at Manukau. MOTAT Museum: The Museum of Transport and Technology opened in 1960 is one of the largest museums of its kind, well known for hosting huge collections of military and civilian aircraft and vehicles. Kelly Tarlton's Underwater World: Kelly Tarlton's aquatic world is a spectacular habitat display of aquatic animals which also includes the exhibit of the World’s largest colony of Antarctic Penguins. All of this can be viewed through unique underwater viewing tunnels. Rangitoto Island: One of the most beautiful sight in Auckland’s skyline is the volcanic Rangitoto Island. The cone of the in-active volcano is 260 meters high. The island offers a lot of adventurous activities like hiking, fishing sea kayaking and camping. Waiheke Island: The island is a spectacular heaven of vineyards, beaches and olive groves. It is easily accessible by a 35min ferry boat ride from the downtown of Auckland. The other top tourist attractions include The Auckland Botanical Gardens, Sr. Patrick’s Cathedral, Auckland zoo had Harbor Bridge etc.